Arizona Process Server - Experienced, Reliable Process Servers - Superior Process Services Inc.
← What if a person cannot be found or is evasive? Many people need process servers, and more need them than may realize at any given time. Whether an individual or a corporate client, a process server can be a critical move to make your business or life needs more efficient, secure, and seamless. To understand whether or not you need an Arizona Process Server, then, you must first understand what exactly it is a process server does every day. A process server is effectively a messenger, tracking down a person of interest and “serving” them with papers ranging from court cases, to the due process of law, to child support, and many other issues and problems. 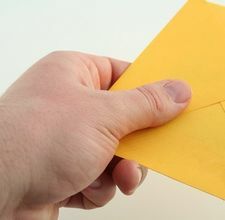 Our Arizona process servers work to notify individuals specifically by giving them court documents that detail their involvement or necessity in a specific legal issue, and these documents themselves are what is called the “process.” That’s why, if you’ve ever seen someone be served or heard about it on television, you see them “being served” the papers. More than that, though, a process server works to also deliver court papers, file court documents, retrieve important legal documents, and correctly file and import documents in such a way that is legal and proper for criminal and civil cases at a courthouse. Why Would I Need A Process Server, Then? If you are somebody who runs a legal firm, works with lawyers, or has a court case of any kind pending, chances are you might need to hire an Arizona process server to deliver and courier documents in a variety of ways. Process servers work well within the law in a tightly defined jurisdiction, and in some states can work extremely closely with law enforcement to serve summons and complaints to various people or organizations. If you are, for example, in the middle of a court case of some kind and you request that somebody testify to appear on your behalf or within your court case, it may fall under the duty of a process server to drag up the person, serve them with documents, and in doing so, comply them to appear in court under threat of legal penalty should they skip out on doing so. Process servers are an integral part of the law, and one that many people do not realize they need until it is too late. The easiest way for those involved in a court case of any kind to determine whether or not you need a process server is to talk with your attorney. He or she can help you determine the next steps and outcomes related to process service and other similar needs. Still don’t know if you need a Process Server? 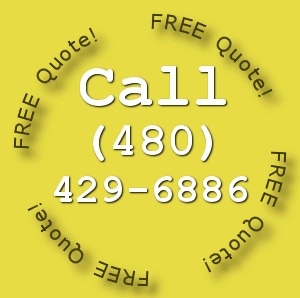 Simply give us a Call at (480) 420-0877 to Discuss Your Matter!